Haha, got you all good, fuckers. This isn't another blogspam top 5 post to knock down blog posts with actual content in them. See, I'm already over two sentences, and I haven't even linked to some other gaming site (and I won't in any of my blog posts). That's what sending in tips is for, and I blog (unofficially) for/with the DTOID community in mind, or at least as far as the Stickam side of things is concerned. I work in partnership with Asian Rage and Asian Rage Part 2. 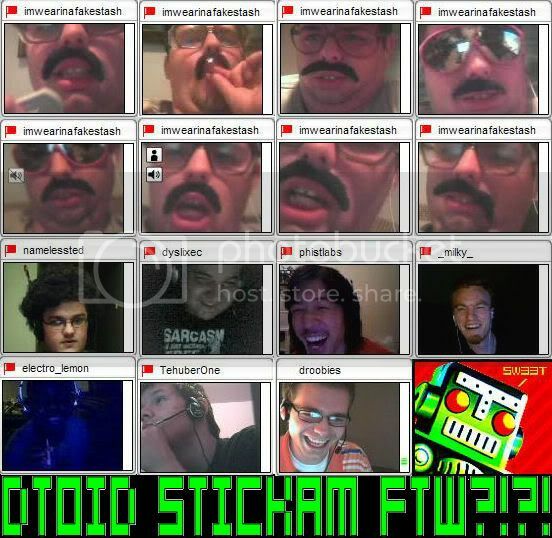 Yet another instance of a great random encounter with someone that joined our room in Stickam. I'd explain it, but there aren't words available in either spoken or written language. Until next time, it's all in the reflexes.